If you control a Level 3 monster other than "Psychic Tracker", you can Special Summon this card (from your hand) in Defense Position. You can only Special Summon "Psychic Tracker" once per turn this way. A Synchro Monster that used this card as material gains 600 ATK. 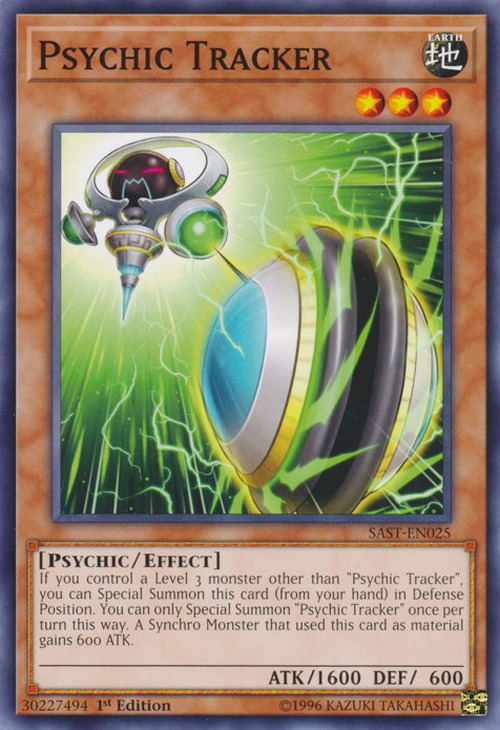 This card appears in the artwork of Hyper Psychic Riser.